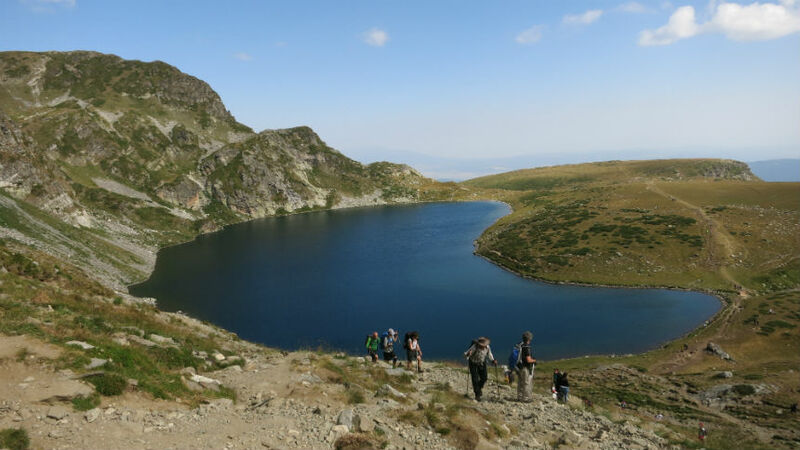 Short Guided Hiking Breaks From Sofia, Bulgaria. Long Family Walking Weekends In Bulgaria. 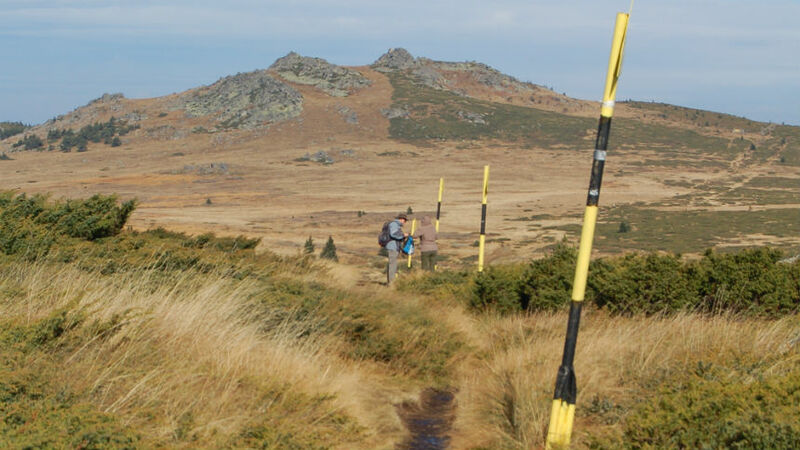 Situated among the ridges of several mountains, Sofia offers superb opportunities for a short hiking break. 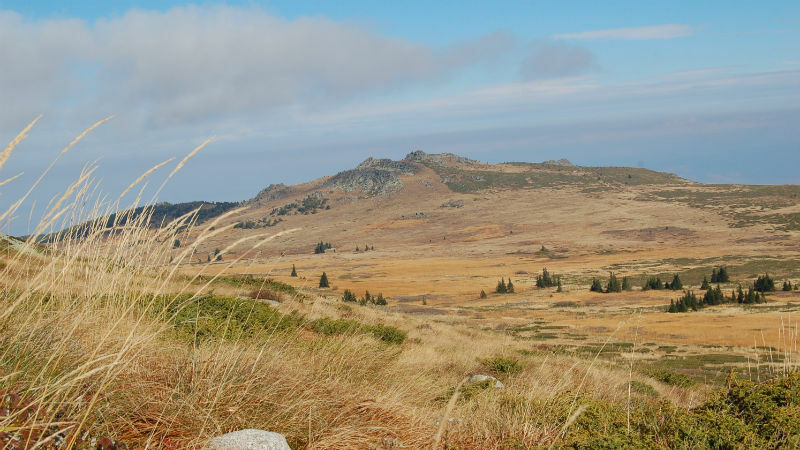 As a part of this holiday we will hike on the most visited Bulgarian mountain (Vitosha) and also in one of the most impressive parts in the highest mountain on the Balkan Peninsula – Rila, where the circus of The Seven Rila Lakes lies. Both hikes allow some free time in the evenings, when you will be able to explore on foot the city centre of Sofia and stroll among its attractions – Alexander Nevski Cathedral, The National Theatre, St. Sofia church, The houses of the Council of Ministers, The Presidency, The Parliament, the ruins of the ancient city of Serdika (from the 5-6 C), The National Palace of Culture, the main shopping streets and so on or just plunge into the vibrant nightlife of the biggest Bulgarian city. As usual for all other short breaks the program below is flexible, so if you have any personal requirements or you want another itinerary adjusted to your exact flight times you are always welcome to discuss that with us. Day 1. Welcome meeting at Sofia Airport. Transfer to the hotel for overnight. Day 2. 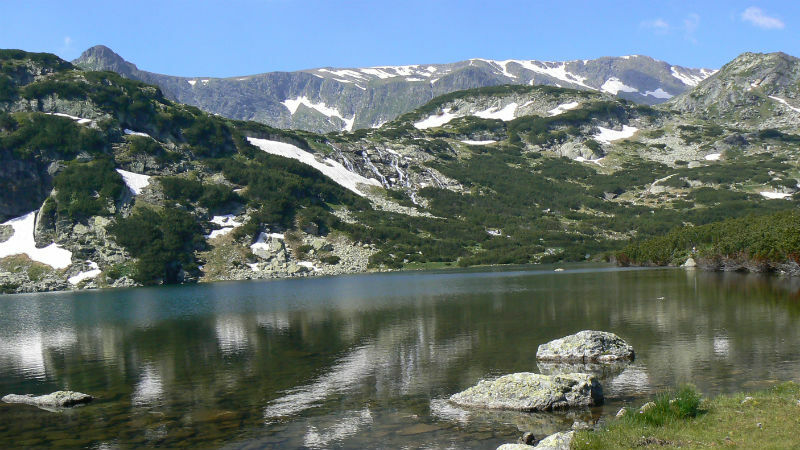 Today we will explore the most eminent part of Rila Mountains – The Seven Rila Lakes. This is a group of glacier lakes spread among impressive peaks and deep gorges. The transfer (one way) takes some 1,30hrs. Depending on your fitness we either board the chairlift in order to save some walk up or we head on foot towards the lakes. Once we reach the lower lake at 2100m we continue ascending up until we see all of them (the highest being at 2500m). Each lake has its own name, derived from its outline – The Eye, The Kidney, The tear, The Twins, The Fish Lake, The Trefoil and The Lower Lake. Depending on the use of the lift, the weather conditions and the clients’ physical condition the walk itself takes anywhere between 3 and 6 hrs. Day 3. 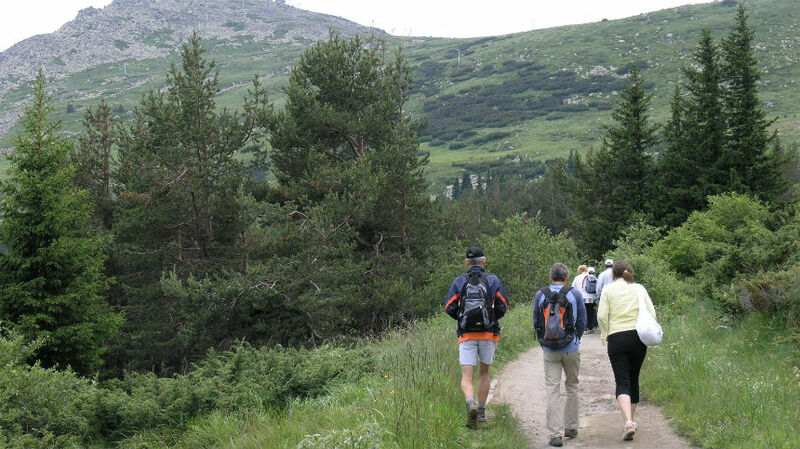 Today we climb the highest peak of Vitosha Mountains – The Black Peak (2290m). 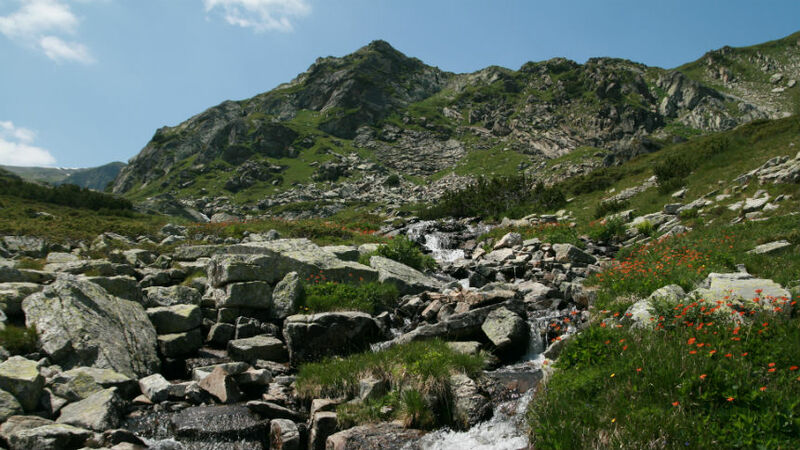 Vitosha is the oldest nature park on the Balkans. As a part of the walk we will be hiking around one of the two nature reserves there, famous for its unique ecosystem – a vast peat bog with a variety of rare plants in summer. We need 1-1,30 hrs to climb the peak from where we start. After a short rest and a cup of fragrant herbal tea we will continue through the plateau areas, tracing the backbone of the mountain, until we reach another phenomenal region – the stone rivers of The Golden Bridges. Here we take the transfer and get back to Sofia. Day 4. Transfer to Sofia Airport for departure.